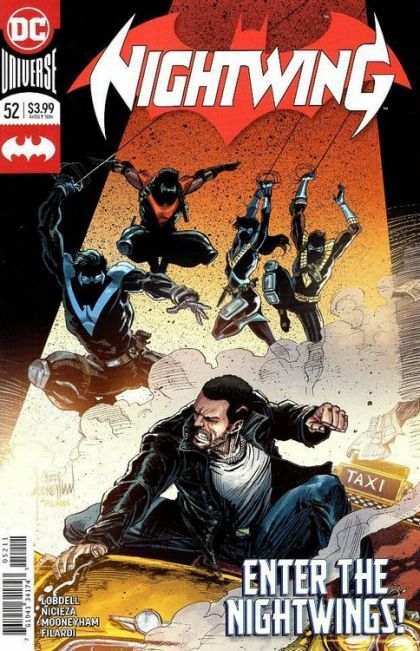 The city of Bludhaven is descending into madness...with citizens falling victim to not only a group of vigilantes taking justice into their own hands, but to a new brand of fear focused on the past. While Grayson is happy to simply look to the future and move forward with his life, how will he deal with a threat that originates in his past? A threat dead set on destroying the Boy Who Fears Nothing? A threat that goes by the name of Scarecrow? Will Grayson continue to leave it all behind, or will he be left with no other choice but to pick up the pieces of Nightwing's shattered life...starting with a mask?